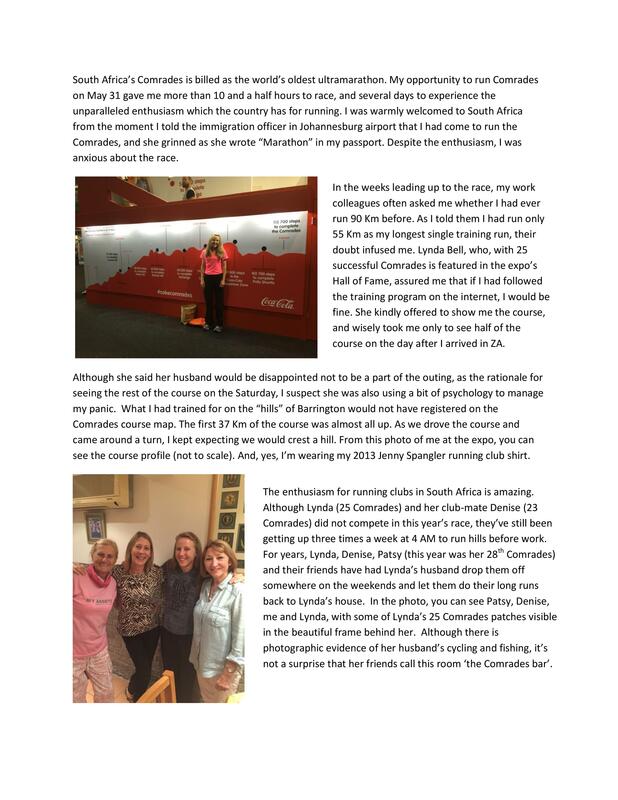 You are here: Home → Jenny Spangler News → Bets Bukszar Runs 2015 Comrades Marathon! Bets Bukszar Runs 2015 Comrades Marathon! 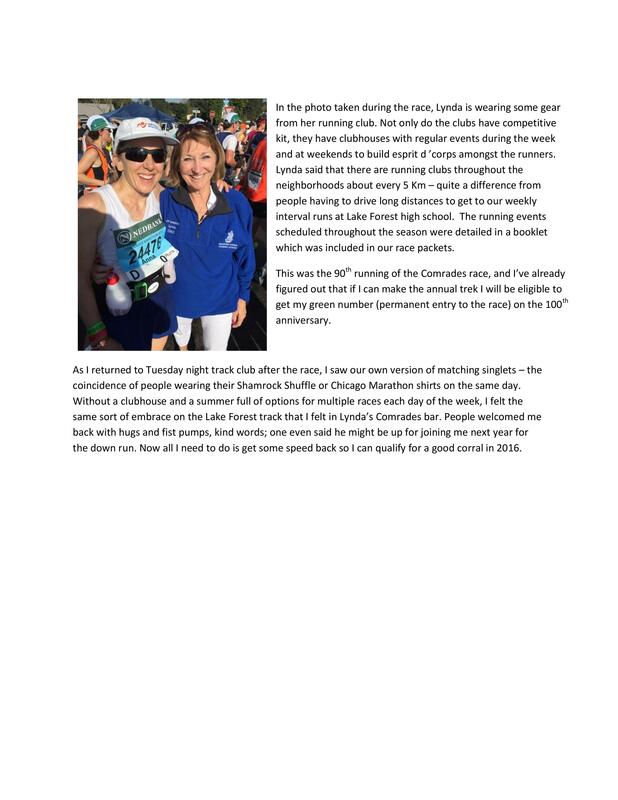 Long time friend and Jenny Spangler Running program member Bets Bukszar ran the daunting Comrades Marathon in South Africa this past May. Bets completed this famous ultra in 10:47:32. The Comrades Marathon is the world's oldest and largest ultramarathon run over a distance of approximately 90 KM (56.1 miles) between the capital of the Kwazulu-Natal Province of South Africa, Pietermaritzburg, and the coastal city of Durban.